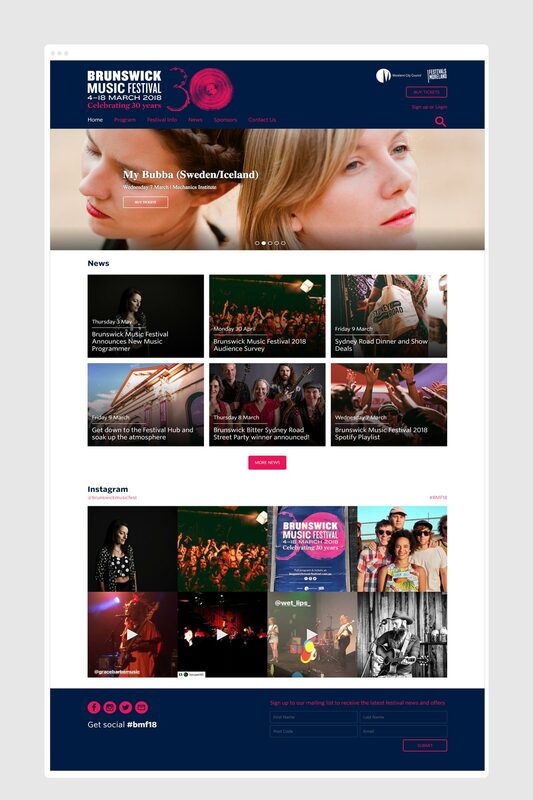 We were contacted by the Brunswick Music Festival to redesign and update their website for their 2018 Festival. 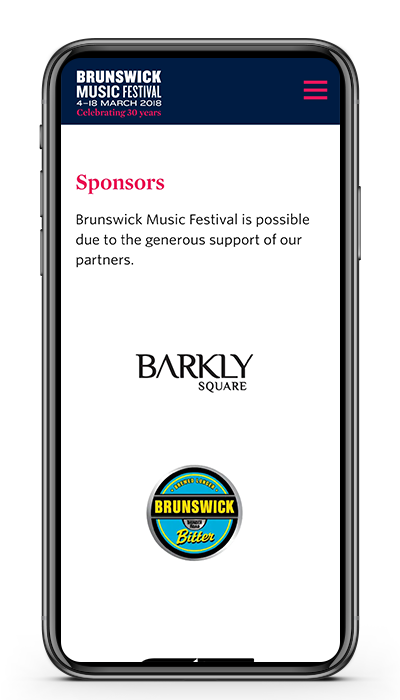 We worked closely with Brunswick Music Festival, their graphic designer and events manager to ensure a smooth and on-time delivery of their Program Launch. Sticking with their WordPress platform, their website needed to be refreshed with their new branding. 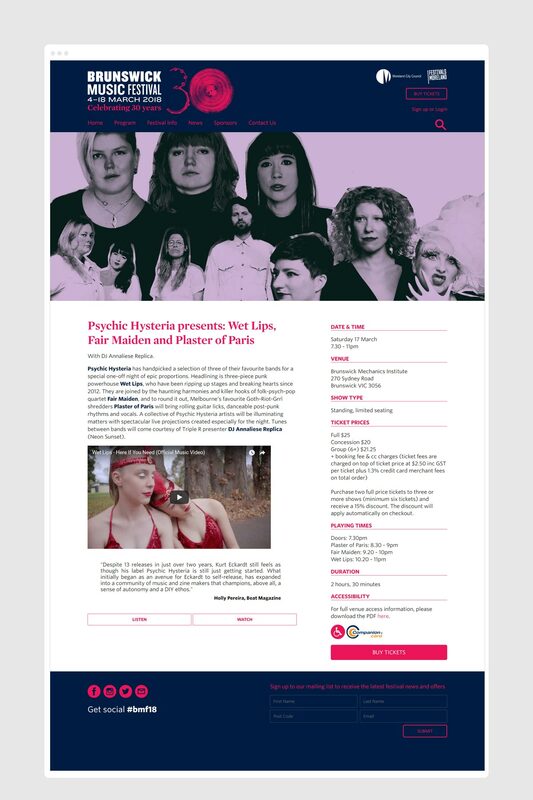 We undertook an overhaul of the websites general styling and functionality, redesigning key features – such as the sponsor's page and development of new custom sidebar categories and widgets. Brunswick Music Festival, Atticus Design and Eventfinda.